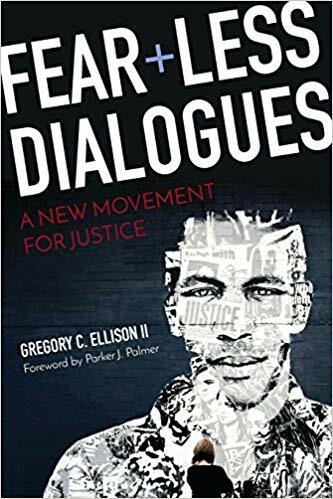 In preparation for the Mid Council Leaders Gathering in Chicago, we were asked to read the book Fear+Less Dialogues by Gregory C. Ellison II. It’s a good book, and I recommend it to you. Even better than the book, though, was the process the author lead us through. On paper, it seemed kind of hokey; in person, though, it was profoundly moving. The part that remains with me and still challenges me was dealing with what Ellison calls life’s five hardest questions. Those questions are: 1. Who Am I?, 2. Why Am I Here?, 3. What is My Gift?, 4. How Does It Feel to Be a Problem?, and 5. What Must I Do to Die a Good Death? Those questions deal with Identity, Purpose, Vocation, Resilience, and Legacy. In my small group, I got to answer question 4, how does it feel to be a problem? My answer to that might be another column someday. The process of choosing who got to answer what question came down to an introvert’s standoff. The woman who got to answer question 5 was an even stronger introvert than I am. The people who got to answer the first three questions were more extroverted than we are. The answer that woman gave to the last question will stay with me, but I find the question itself challenging. What legacy do I want to leave behind? I thought about that in terms of my family as well as in terms of my work. It strikes me, though, that this question applies not only to us as individuals but also applies to our churches. What legacy does your church want to leave behind? What I would hope would happen is that people would say, “That’s the church that had the best preschool.” Or “That’s the church that had the food bank. They were never very big, but they fed over 100 people every week.” Or maybe “That’s the church that sent 10-15 kids to camp every summer. They really cared about kids.” In some ways, it seems trivial, but it wouldn’t be the worst thing if people said, “That church had the best bazaar.” “That church had the best chili dinner.” “That church had the best pancake breakfast.” At least that would mean people noticed and the church had been doing something that had an impact on their community. What do people think about your church? What do people know about your church? What kind of legacy will you leave behind? If you have no signature program or no event that impacts a number of people in your community, maybe you’re just going to be known for your building. It doesn’t have to be that way, but it will be that way unless you’re doing something about it.